For keen ornithologist NWT Cley Marshes Nature Reserve is a wonderful area for spotting all manner of birds. Birdwatching, bog marching, boating, swimming and of course sitting by the fireside after a hearty meal. Available for private group hire, with a real home from home feel. A no-choice, three-course menu at £32.50 per head is served at 7.30pm and changes daily. Just South of the mill are small shops, selling pottery, smoked fish and secondhand books. 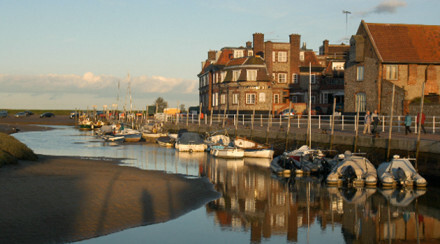 The boat tours at Blakeney Point are a wonderful way to view the coast. Saltwater Fly Fishing is available nearby, ask the friendly staff for further details. Wonderful coastal walks over the saltmarshes and to Blakeney point or Salthouse. Head out on a seal spotting boat trip from the nearby bay. Because it’s such a unique place to stay – quite unforgettable. People wax lyrical about the comfortable, quirky rooms, all newly refurbished but completely in keeping with the essential essence of this iconic building. It’s relaxing and a joy to sit on one of the comfy, squashy sofas infront of a roaring fire in the circular sitting room, reading the papers and enjoying a glass of wine or a warming hot drink. The views are superb at all times of day and the sunsets are particularly beautiful. People love to just sit and look out over the reeds to the sea in the distance, or to watch the birds (it’s paradise for twitchers). 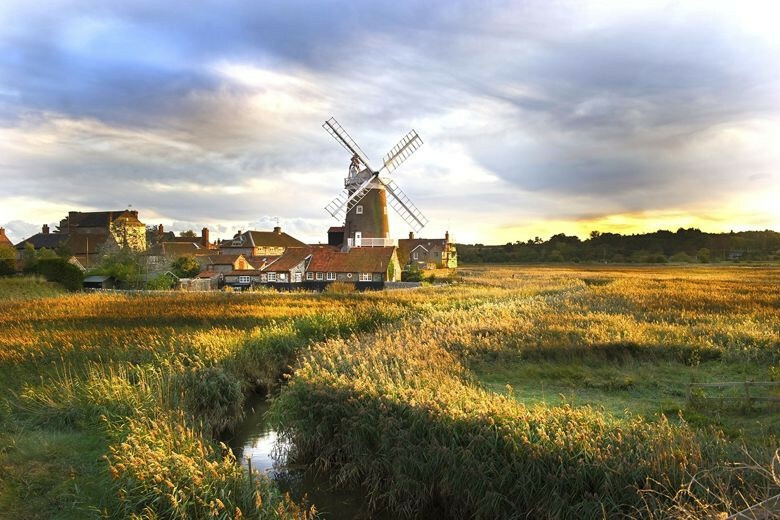 Or maybe walk out from the windmill to the beach at Cley or at Blakeney, or even further afield. You don’t need your car at all if you want to do everything on foot. The staff are very friendly and nothing is too much trouble. All in all, it’s just a really special place to stay which is why people keep coming back, again and again. Walking – some fabulous walks out along either shingle or sandy beaches. Take a trip out on a boat to see the seals at Blakeney Point. 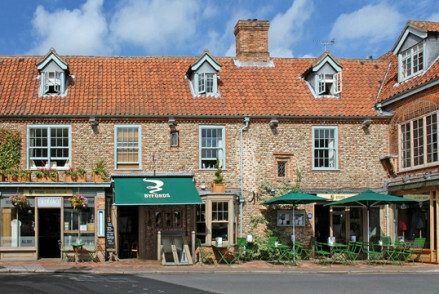 Visit the nearby Georgian market town of Holt. Or pop up the coast to Sheringham or Cromer with its Victorian pier. Sailing is a popular sport, of course, and you can easily hire a boat or better still, ask Charlie Ward to take you out on his beautifully restored sailing boat ‘Juno’. We’re very good at this! Locally sourced fresh fish – just let us know the night before what you’d like and it will be there! Yummy eggs in every shape and form – my favourite is the scrambled egg with salmon. Cooked breakfasts with just about whatever you fancy. Plus the usual choice of cereals, fruit, fruit salad, yoghurt, scrummy bread/toast. We are well-known for our breakfasts! Yes, we have two fabulous chefs – Emma and Jimmy – both of whom not only prepare breakfast but also wonderful dinners (available each night). Fine dining and very reasonably priced too. You need to book in advance and it’s a fixed menu. Highly recommended. There are plenty of other places to eat locally – we like the Wiverton Bell and The Dun Cow but there’s lots to choose from. They are all popular because people just love sleeping in a windmill and all the rooms are different. I suppose the most popular has to be the Wheel Room which is right at the top of the tower (its bathroom has to be the most unusual in the UK as it’s right up in the cap!!!) 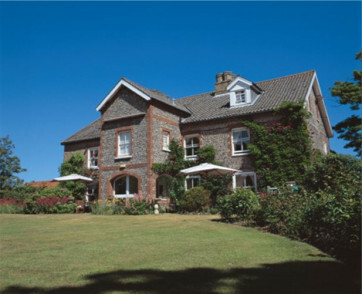 This is for guests who are fairly fit and able to climb the ladder to get to the room which is furnished with a super four poster bed and has wonderful views out over the reed marshes to the sea. Another favourite is the River Room which is on the Ground Flower and opens out onto the lawns, again with fabulous views. Stone Room has its own access to the tower balcony, the Long House is a converted out-building and people love this, too, with its stunning décor and lovely views. They are all lovely – but in different ways. Our guests like to sample different rooms each time they come to stay. We have plenty of extra beds for children, although some of the rooms are better suited to this than others. Barley, River, Boat, Millers are all fine with an extra bed and we also have self catering accommodation in the Dovecote which sleeps up to 4. This is ideal for families. Children are very welcome at the windmill and there is a lovely large garden for them to play in should they wish to. We don’t have any play areas though as essentially the windmill is a peaceful place to stay. "Next to the former quayside of the River Glaven, in a flint- and brick-built village, with superb views over the reed beds and saltmarshes towards Blakeney Harbour." Small hotel with cosy feel.